- Select Option -25 lb.30 lb.40 lb.50 lb.60 lb.80 lb. 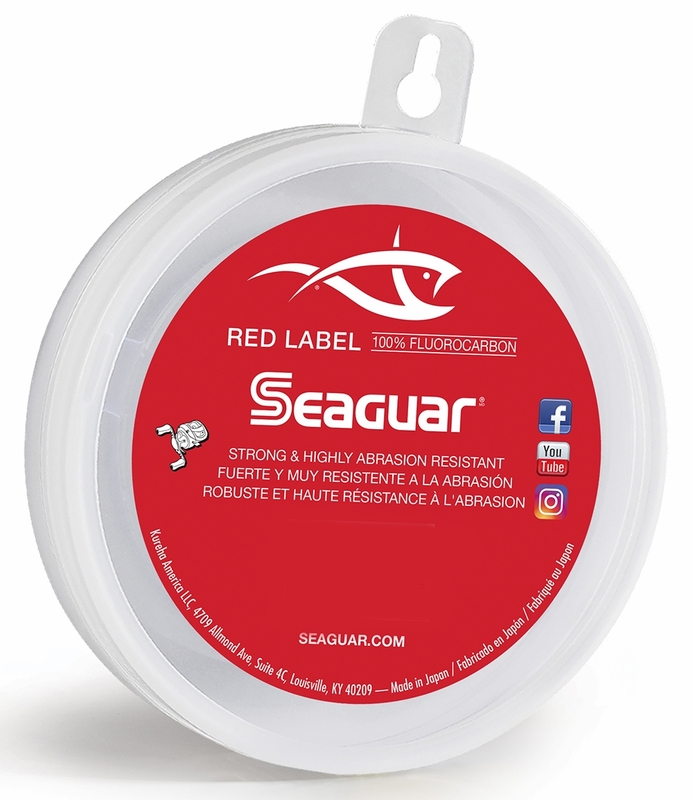 A fantastic introduction to Fluorocarbon, Seaguar's Red Label Leader is strong yet extremely soft and sensitive. Red Label offers remarkable impact strength. It is suitable for both fresh water and salt water. As with all 100% Fluorocarbon products, Red Label is much less visible underwater than monofilament line and virtually invisible to fish. Red Label is also UV resistant, chemical resistant, non-absorbant, high-density and impervious to cold conditions. This is a great option as a leader if using braid as a mainline. Fluoro is harder to see underwater than mono. This line holds knots well and has good abrasion resistance. I have had no issues. Very happy how fray resistant this line is. Easy to tie knots with as well. Seaguar is probably my favorite flourocarbon line. I tried to use some other brands because the price point was great but always end up coming back to seaguar. Ties great, good abrasion resistance, not too stiff but just stiff enough. Can get expensive but you pay for what you get. ConsHard to link to braid. This leader material lives up to the Seaguar name it is reasonably priced and tough. I like Seaguar Fluorocarbon because it is the highest quality and never failed me. 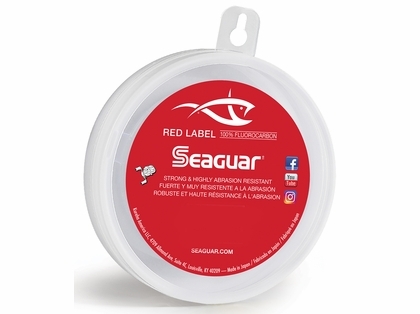 Other than the price, what is the difference between the Seaguar Red Label fluoro leader and the standard Seaguar fluoro leader. Also, is the red label leader clear in color? The Seaguar Red Label is a softer line, therefore has a lower abrasion resistance and weaker knot strength. Yes, the Red Label is clear in color.